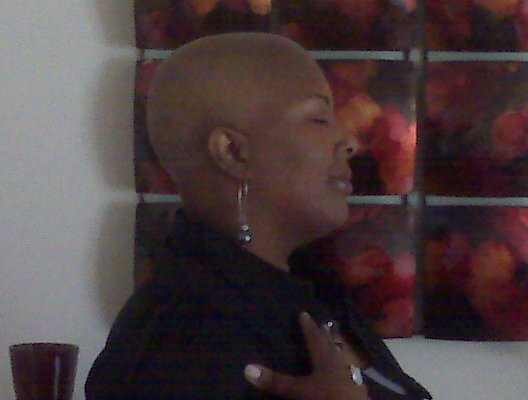 On February 24th, 2011 my Mother passed away after fighting Breast Cancer (Triple Negative Breast Cancer) for 4 years. She was the most amazing woman I knew. I am glad that she is no longer in pain. My mother’s Birthday was on May 17th and she would have been 45 today if she was still alive. I began the day expecting to mourn her loss, but I did the opposite. Today was spent laughing, crying tears of joy and eating with my family. I drove around singing out loud to nothing playing (My radio doesn’t work sometimes) with my windows down, not caring who heard. I HAD RED LOBSTER BISCUITS. Today was not only my last day as an undergrad student, but it was also my Mother’s day. I spent the day happy, in celebration of her life. I no longer feel empty. I feel hopeful.